Amnesty laws are political tools used since ancient times by states wishing to quell dissent, introduce reforms, or achieve peaceful relationships with their enemies. In recent years, they have become contentious due to a perception that they violate international law, particularly the rights of victims, and contribute to further violence. This view is disputed by political negotiators who often argue that amnesty is a necessary price to pay in order to achieve a stable, peaceful, and equitable system of government. 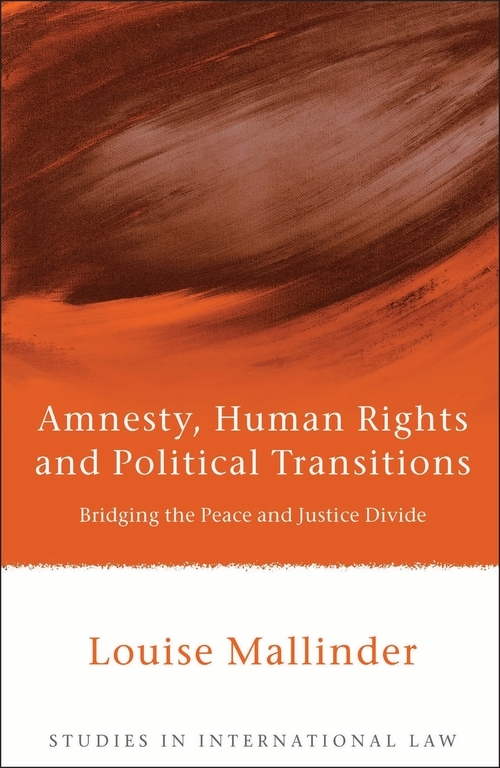 This book aims to investigate whether an amnesty necessarily entails a violation of a state's international obligations, or whether an amnesty, accompanied by alternative justice mechanisms, can in fact contribute positively to both peace and justice. This study began by constructing an extensive Amnesty Law Database that contains information on 506 amnesty processes in 130 countries introduced since the Second World War. The database and chapter structure were designed to correspond with the key aspects of an amnesty: why it was introduced, who benefited from its protection, which crimes it covered, and whether it was conditional. In assessing conditional amnesties, related transitional justice processes such as selective prosecutions, truth commissions, community-based justice mechanisms, lustration, and reparations programmes were considered. Subsequently, the jurisprudence relating to amnesty from national courts, international tribunals, and courts in third states was addressed. The information gathered revealed considerable disparity in state practice relating to amnesties, with some aiming to provide victims with a remedy, and others seeking to create complete impunity for perpetrators. To date, few legal trends relating to amnesty laws are emerging, although it appears that amnesties offering blanket, unconditional immunity for state agents have declined. 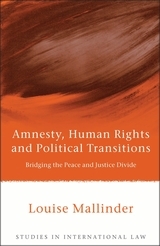 Overall, amnesties have increased in popularity since the 1990s and consequently, rather than trying to dissuade states from using this tool of transitional justice, this book argues that international actors should instead work to limit the more negative forms of amnesty by encouraging states to make them conditional and to introduce complementary programmes to repair the harm and prevent a repetition of the crimes. "This is one of the best accounts in the truth and reconciliation literature I've read and certainly the best piece of work on amnesty I've seen." "Ms Mallinder's ambitious project provides the kind of empirical treatment that those of us who have worked on the issue of amnesties in international law have long awaited. I have no doubt that her book will be a much-valued and widely-cited resource." How are Amnesty Laws Introduced? Why Do States Introduce Amnesty? How have States Distinguished between Offenders with Different Allegiances? Can an Offender's Reasons for Committing a Crime Justify an Amnesty? Can Amnesties Prevent Individuals from Proving their Innocence? Which Crimes Are Granted Amnesty? Amnestying Atrocities? Can States Amnesty Crimes under International Law? Should Amnesties Treat Political Crimes Differently? Do States Amnesty Economic Crimes? Which Conditions are Attached to Amnesties? How have National Courts explained their Approach to Amnesty Laws? Whom do International Courts Hold Accountable? When do International Courts have Jurisdiction to Rule on National Amnesties? Potential to Create Change: How the Rulings of International Courts Can Affect National Amnesties? What Motivates International Actors' Decisions on Involvement in Domestic Amnesty Processes? How do Amnesty Laws Affect Victims? Louise Mallinder is a Lecturer in Human Rights and International Law at the Transitional Justice Institute of the University of Ulster. She was previously a Research Fellow in Law at Queen's University Belfast.